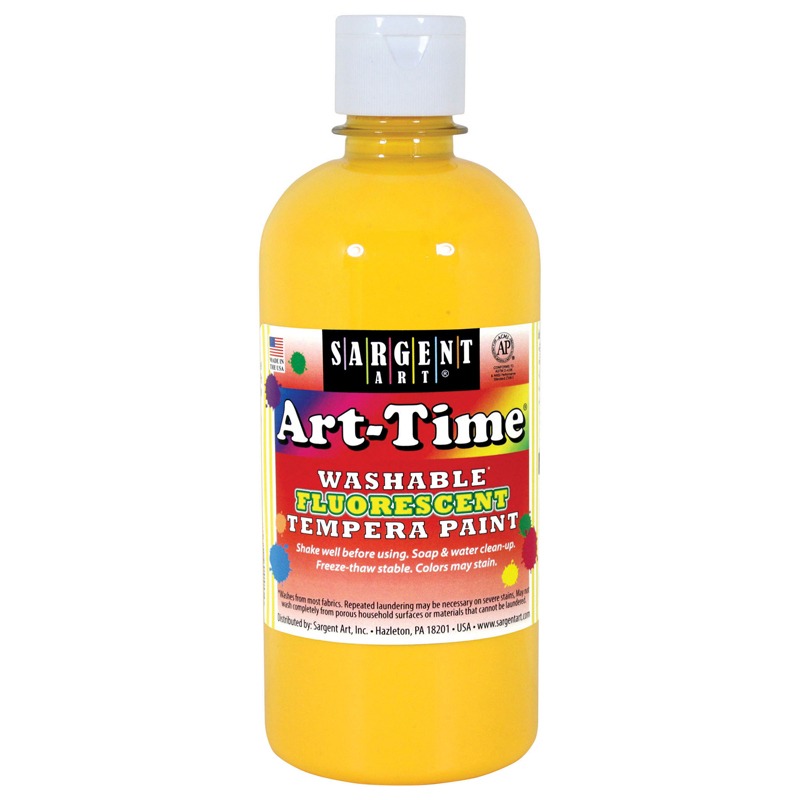 Sargent Art® Art-Time® Washable Tempera paints are economical for schools and artists. They can be washed from most fabrics and skin with soap and water. This neon pigmented tempera will make artwork pop. Our Washable tempera paints balance quality and affordability. All of our Art-Time® tempera paints are non-toxic and conform to ASTM D 4236. Each bottle includes 16 oz. of paint. Sold as a pack of 6 bottles. 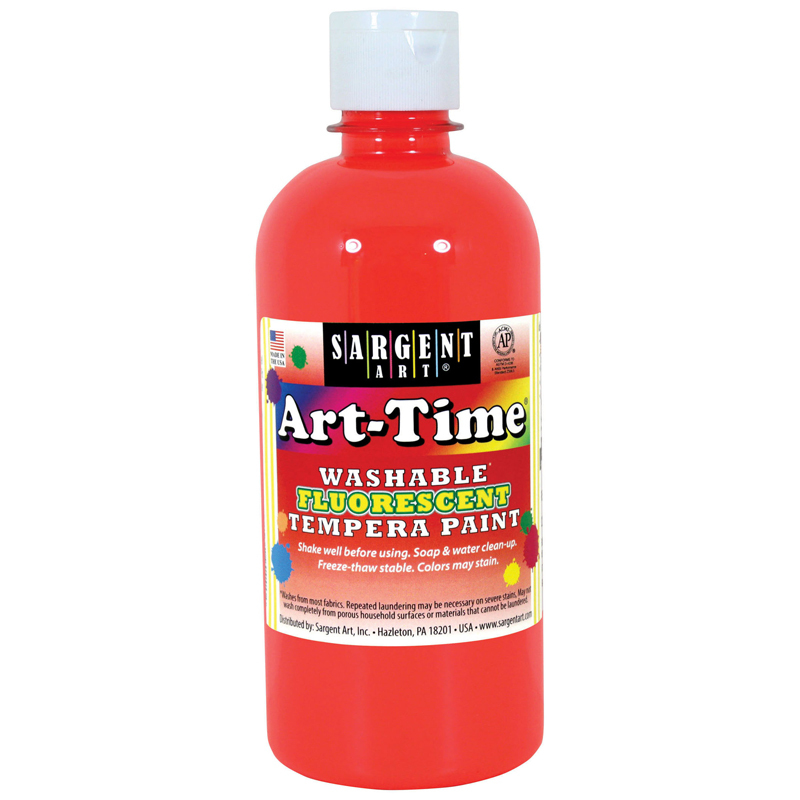 The (6 Ea) Arttime Fluorescent Paint16 Oz Red Washable Tempera can be found in our Paint product category within the Arts & Crafts.